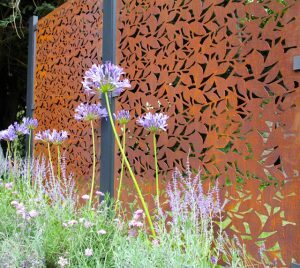 An award-winning range of architectural metal fence panels and garden screens is now on sale from Stark & Greensmith – ideal for homeowners wanting an instant contemporary design statement for their outdoor space. 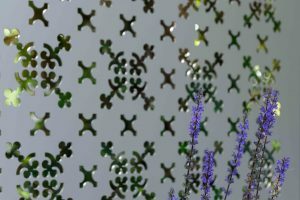 Made either from recycled steel or powder-coated aluminium, the long-lasting panels are laser cut with a range of five beautiful botanical designs. The panels are highly versatile, with homeowners and garden designers using them as fencing with a contemporary look, as pergolas and balustrades, as garden/roof terrace features or screens to give additional structure, or to mask parts of their home or garden they want to keep under wraps. 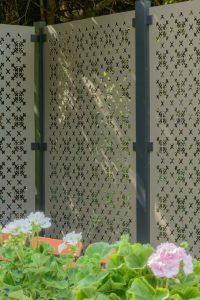 Unlike conventional fencing, the panels are maintenance-free, wind resistant and improve with age – the materials used mature rather than deteriorate. Alongside their contemporary and sustainable design aesthetics, the panels are hedgehog-friendly. When installed they float 11cm above the ground, enough room for the protected mammals to pass freely under them. 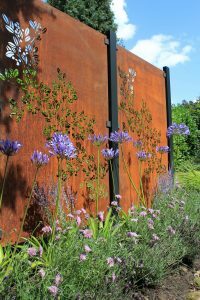 Developed by Stark & Greensmith’s creative director and designer, Martine Le Gassick, the panels are a reaction to the disappointing look, short lifespan and susceptibility to bad weather of traditional fencing. 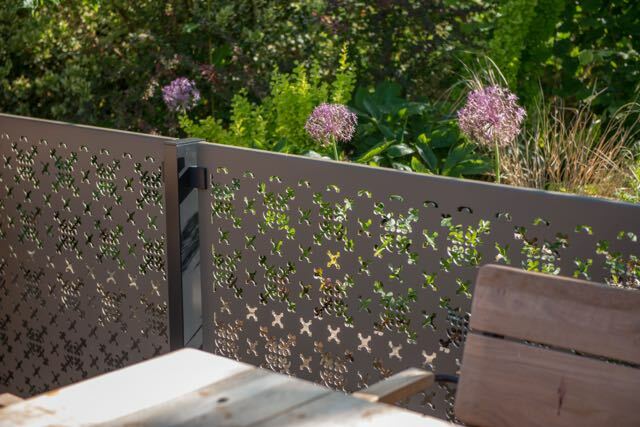 Having worked with well-known brands such as Diane von Furstenburg, Etro and Victoria’s Secret with her previous company, Martine set about designing an affordable, modern yet practical fencing alternative for the garden. When the range was launched at the recent leading trade exhibition, the Landscape Show, it scooped the prestigious Best in Show award. · Retail prices start from £208 + VAT. Standard panel dimensions are 1780m x 1190m x 3mm (approximately 6’ high, 4’ wide and 3mm thick), and are made in weathering steel and powder coated aluminium, with Martine’s unique designs laser cut onto them. · The powder-coated aluminium was chosen for its clean aesthetic quality, an appearance it maintains over time, as it will not rust or decay. · The weathering steel was selected for the beautiful auburn rusted patina which it forms on contact with the atmosphere. This patina stabilises and protects the material itself, meaning the panel stays strong, even in sandy or coastal environments. 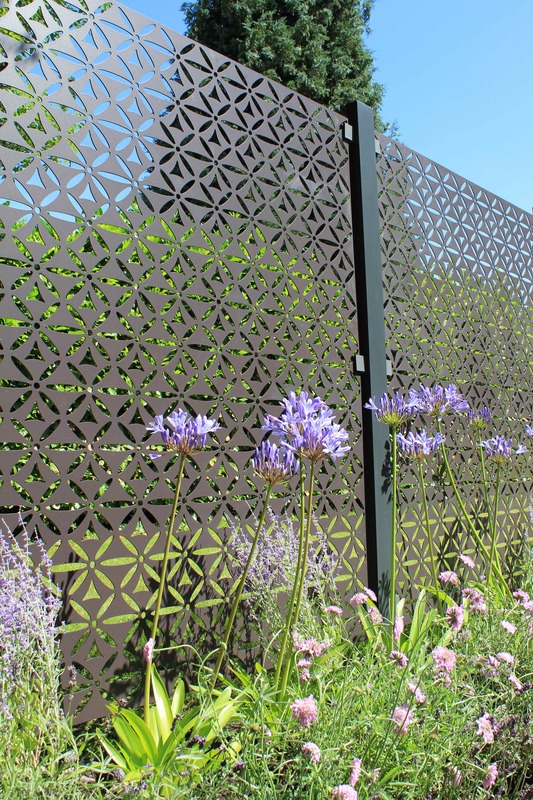 · The panels are installed using a fixing system featuring stylish dark grey aluminium posts, and powder coated steel clamps; these panels are sustainable, as they are made from 100% recycled steel and aluminium. · Now available to buy on Stark & Greensmith’s website – www.starkandgreensmith.com – and from a growing number of professional installers (see website for details). For further media information please contact: Emma Mason on 07762 117433, emma@emmamasonpr.co.uk, @emmamasonpr or Facebook at Emma Mason PR.